This past weekend I attended the Haven Conference. 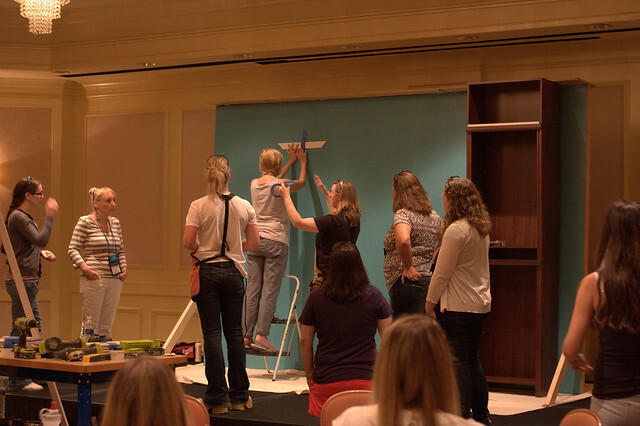 Haven is a DIY conference where bloggers come together to meet and attend sessions geared around growing your blog, photography, building relationships with brands, building furniture, painting, and so much more! You can read my recaps from 2012 here, and 2013 here. This is an event I truly look forward to! 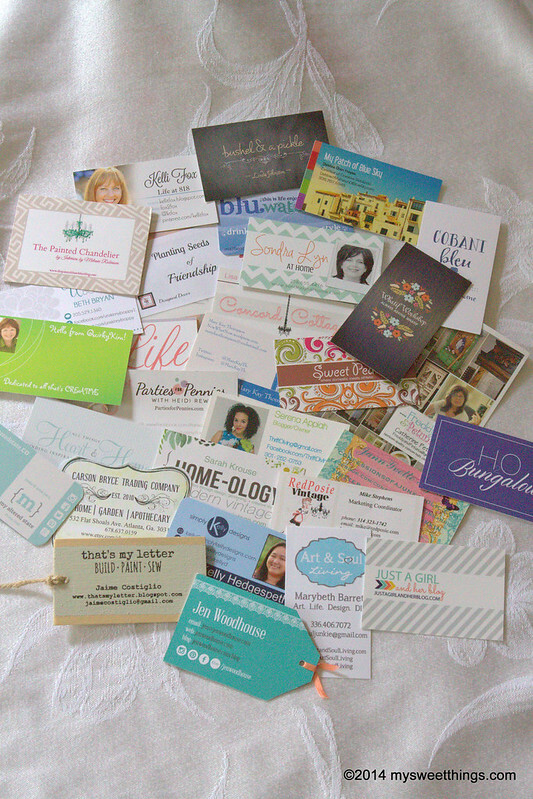 One of the best parts of Haven is meeting fellow bloggers from all over the country who enjoy crafting and DIY as much as you do! 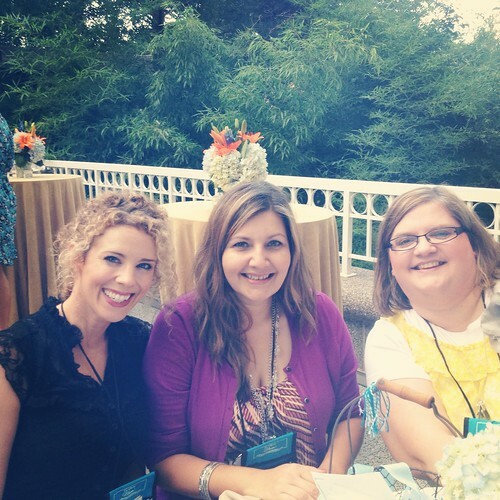 This year I was thrilled to meet Gina The Shabby Creek Cottage , and Kelli Life at 818. I follow their blogs and they are such lovely talented ladies! 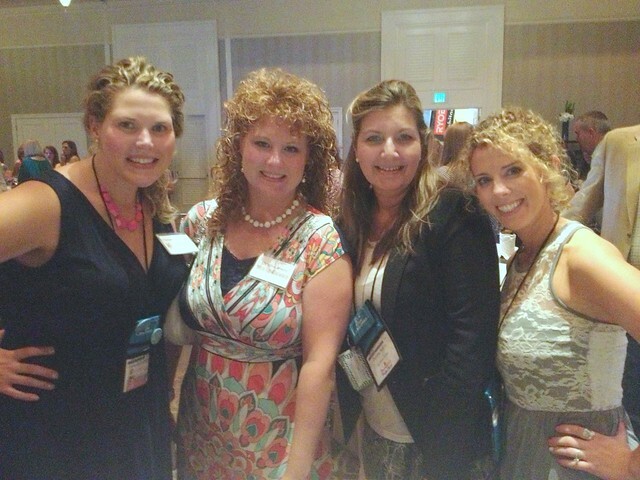 I met KariAnne Thistlewood Farms at last year’s conference and I was happy to see her for a hug and photo this year. Blurry or not, I am glad to have it! Oh, that guy down on the bottom? That’s HGTV Star Mike Holmes from Holmes on Homes! Haven sponsors really do spoil us with appetizers, cocktails and live entertainment! The cocktail and dance parties give us the perfect opportunity to meet and mingle. 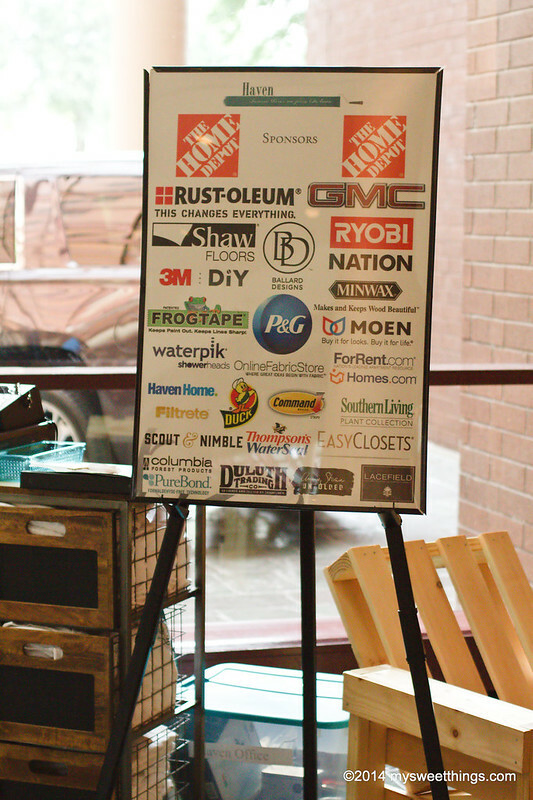 Haven gives you the opportunity to meet brands and sponsors. There were a whole lot of them representing this year! 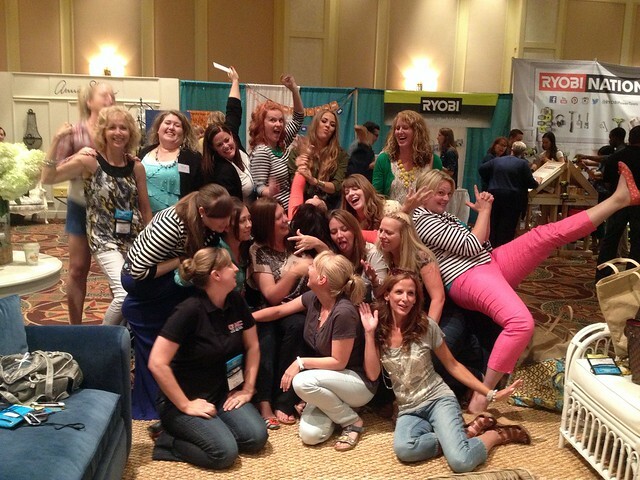 The sponsor booth activities were so much fun! 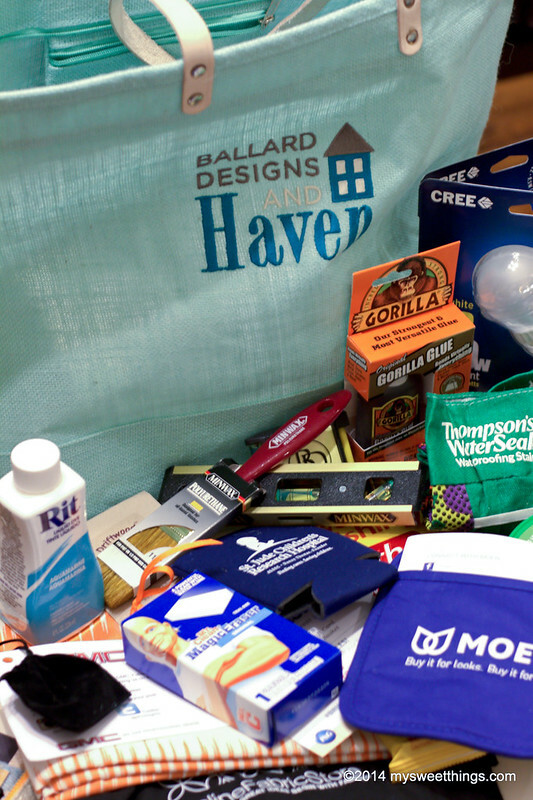 There are lot’s of opportunities to win great prizes and they offer a whole lot of swag to take home. 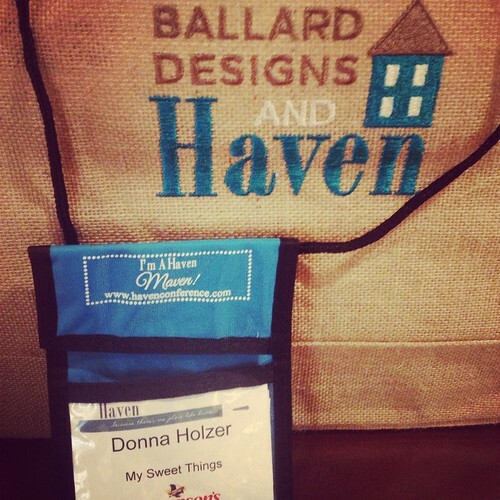 I love attending the Haven Conference as it is a wonderful opportunity to connect with others who all share in the DIY spirit. There will be another Haven in 2015! I plan on attending, and I do hope to see you there! One quick tip for ya! I did bring my Canon DSLR camera with me but as you can see, most of my photos are from my phone! You will get caught up chatting, laughing, and making connections. Enjoying the moments is more important than getting the perfect shot. 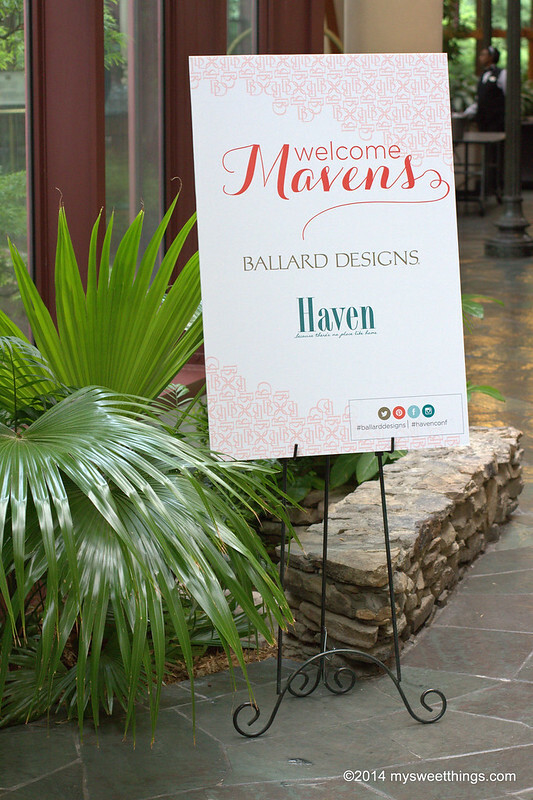 Thank you to the Haven Team , the amazing sponsors and speakers for making this event so memorable! 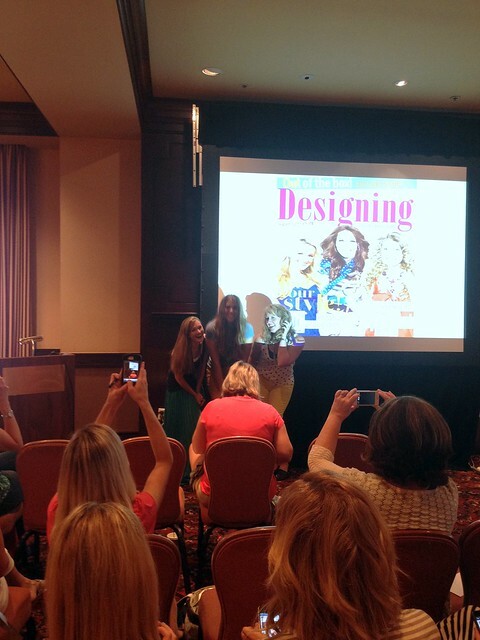 I attended the DIY Blogging Conference Haven this past weekend and it sure was everything I’d hope it would be! This is my second year attending this conference where DIY Bloggers come together to share their blogging knowledge and learn new tips and tricks from the blogging community. There were so many wonderful moments to share and I did carry my Canon Camera the first day, but I was so busy and my lovely swag bag became so full and heavy that I chose to leave the Canon at home the rest of the conference. All photos were taken with my iPhone. 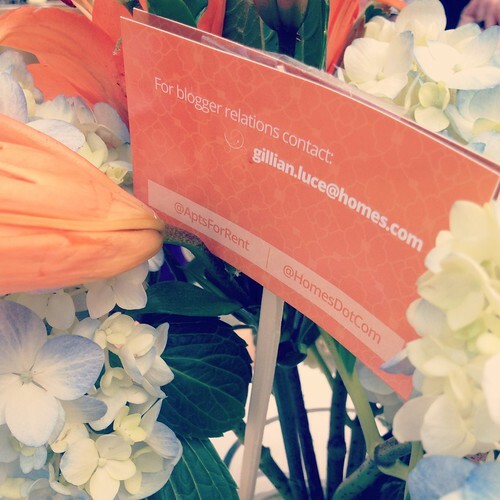 Take a look at some of the bloggers that were in attendance! 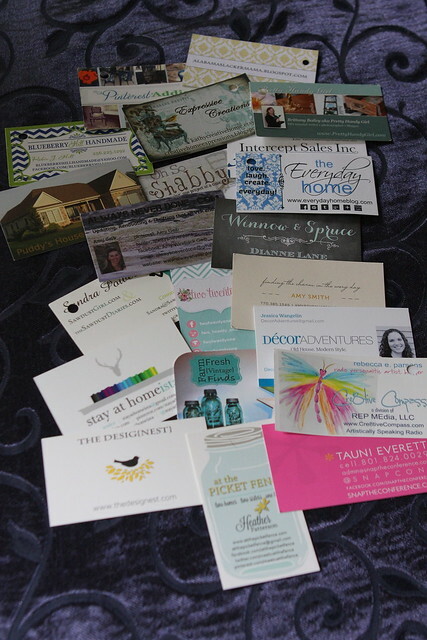 That’s just a handful of names that were listed on the blogger brag board. I met two new friends that night. These lovely ladies Heidi and Robin were so fun to chat with! 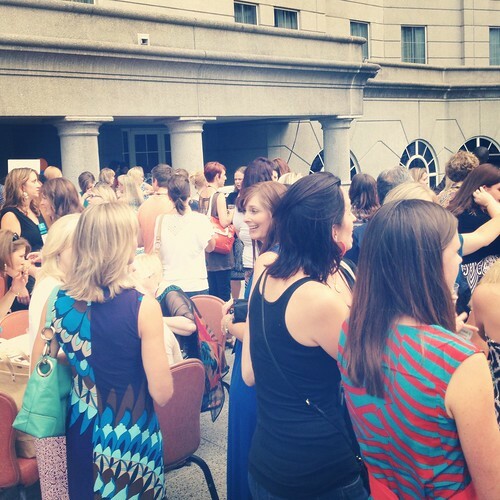 The Grand Hyatt Buckhead Terrace was full of laughter. The D.J was terrific! The food? It was delightful! 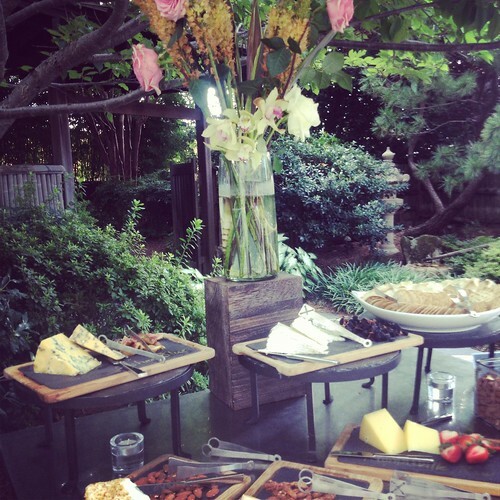 They served fried Mac and Cheese pops. For real. 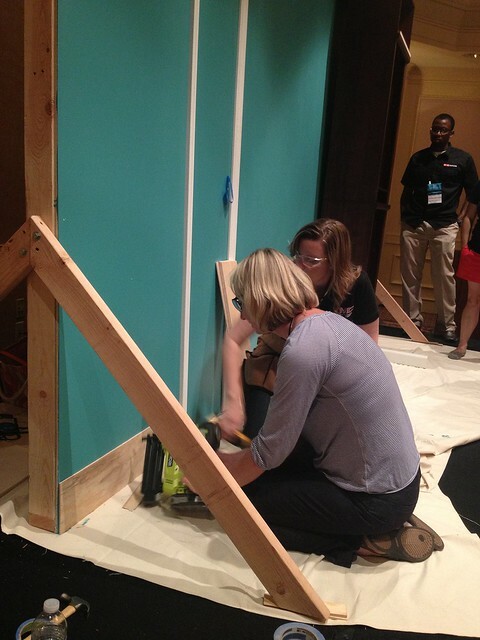 One of my goals in attending Haven, was to learn to work with power tools. 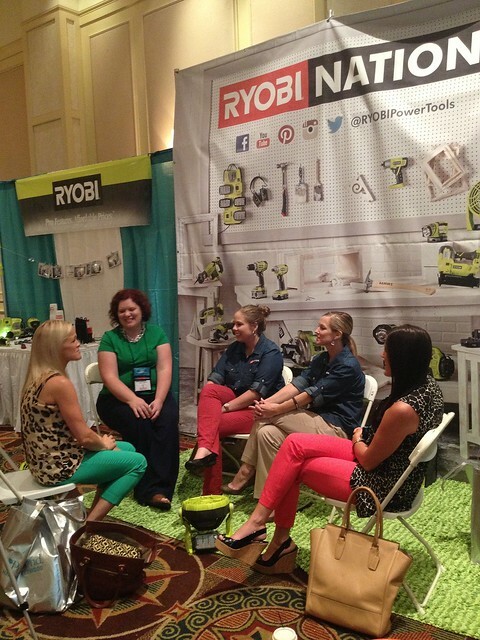 Thanks to a few great conference sessions and Ryobi Power Tools, I was able to accomplish that goal. Yes, that’s me in protective gear, making miter cuts for crown molding! Thanks to Sandra aka Sawdust Girl and Brittany aka Pretty Handy Girl for their informative “Lets case this joint” session. I feel more confident in my ability to work with power tools and I’m excited to work on home projects. You can see in the photo above, that some Haven sessions are really hands on. I love this as I learn best by “doing” and I did get a lot of hands on opportunities at this conference. 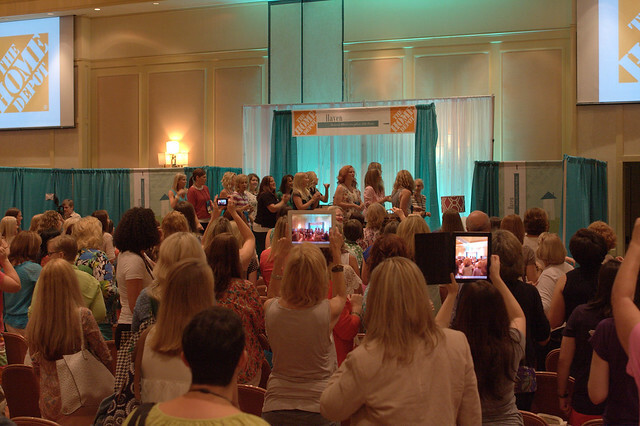 Haven offers several different options of sessions for bloggers. 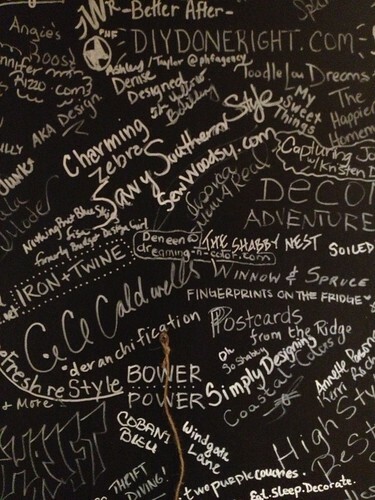 I chose a session on Interior Design as I’d love to learn more in this area. Three bloggers who I follow and admire, The Handmade Home, Makely School for Girls, and Vintage Revivals delivered a fun, upbeat class. One thing I took from this class is to be fearless and do what makes me happy in design. 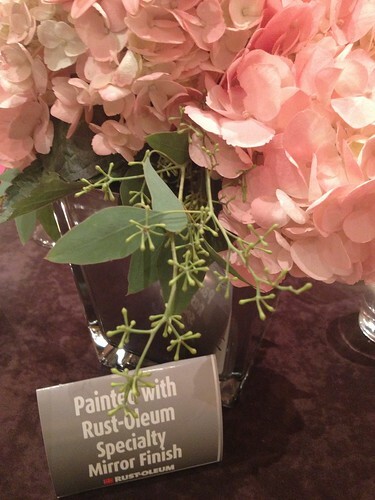 I will be taking more risks with color in my home and I’m looking forward to starting this color journey in my craft room! What else did I learn at Haven? I learned new painting techniques! 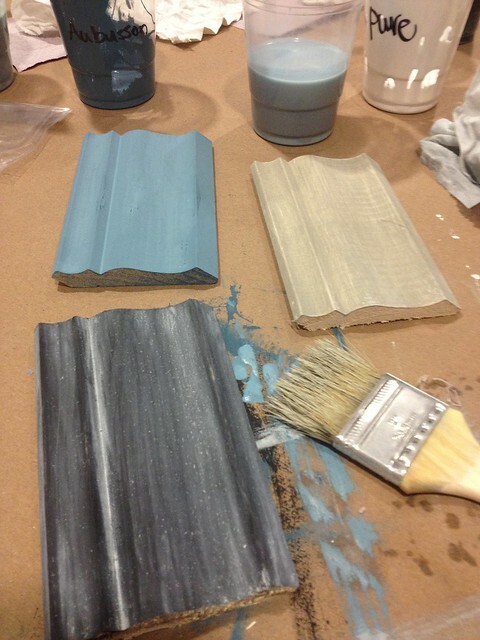 Thanks to Miss Mustard Seed and Perfectly Imperfect for their super hands on class on how to use Chalk Paint and Milk Paint products. 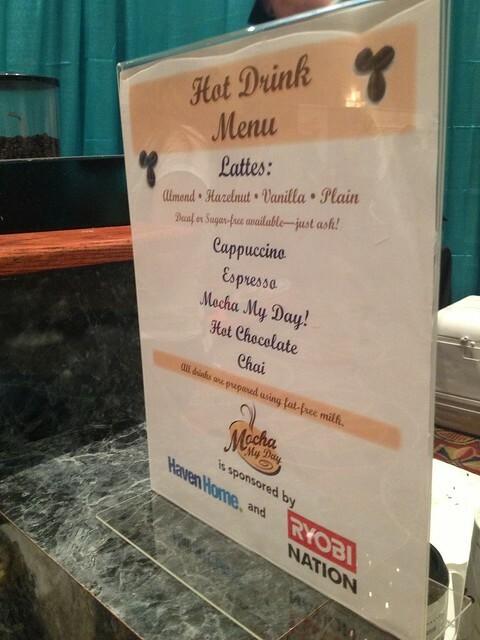 Thanks to the fabulous sponsors for the coffee bar, which came in handy mid afternoon. They helped perk me up for the afternoon session! 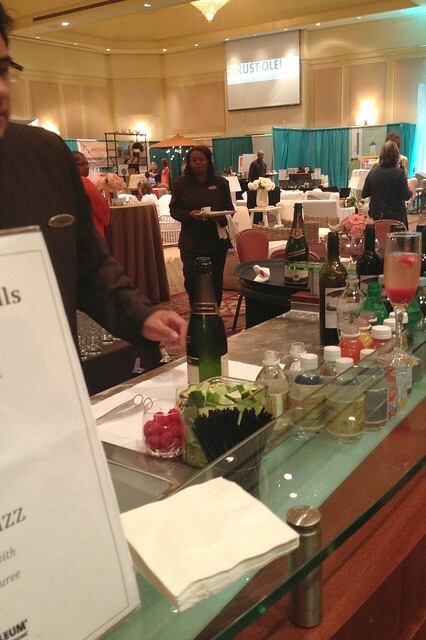 The sponsors also hosted fun cocktail parties. Seriously. Best. Time. Ever. Attending Haven, was such a memorable time for me. I met so many wonderful inspiring women that are so kind. Here I am with Chelsea, Christina, and Heidi. Take a look at their work. AMAZING stuff going on with those ladies! Swapping stories. Laughter and smiles. That’s what you’ll find at Haven. Dance Party! Yes! You will also see that at Haven! Meeting lot’s of new friend who are kindred spirits, that’s the BEST part of Haven! Coming home with this a bag full of goodies?! Yeah, that’s pretty awesome too! Thanks to this awesome Haven Team and all the sponsors for such an amazing, empowering experience. See ya’ll next year! If you’d like to read more about Haven, click here for my 2012 recap. I’m on Instagram are you? Find me there for more Haven photos I shared and keep updated on new projects I’ll be working on thanks to all the Haven inspiration. I’d love to follow along with your adventures to!